"Angry Birds" and "Star Wars" are on a gaming collision course that is sure to please the fans on both sides. Rovio and Lucasfilm announced Monday that "Angry Birds Star Wars" will launch on Nov. 8 worldwide. The game will have the Angry Birds cast dressed up as Star Wars characters with game set against storylines and settings of the iconic space opera. "This is the best Angry Birds game we've ever done. It's the best parts of Angry Birds with all new cutting-edge gameplay set in a galaxy far, far away," chief marketing officer of Rovio Peter Vesterbacka said in a press release. "As a big Star Wars fan myself, I'm really excited about this new universe. The Force is definitely strong with this one." "Angry Birds" is widely considered a mobile gaming phenomenon. The gameplay is physics-based, where players shoot birds from a sling-shot to destroy buildings and take down green pigs. As the game progresses, the structures become more complex. "Angry Birds Star Wars" is the fifth installment of the series, preceded by "Angry Birds Space," "Angry Birds Seasons," "Angry Bird Rio" and "Angry Birds." "Star Wars" is an American science fiction film series created by George Lucas. The franchise is considered a pop culture phenomenon. 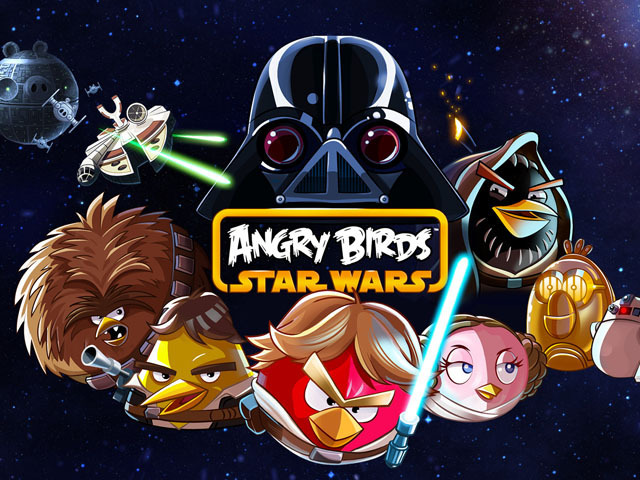 "Angry Birds Star Wars" will be available on iOS, Android, Windows Phone 8, Amazon Kindle Fire, Windows and Mac.